For use in automatic heat seal banding machines such as; Strapack, Akebono, MBO, and Band-All. 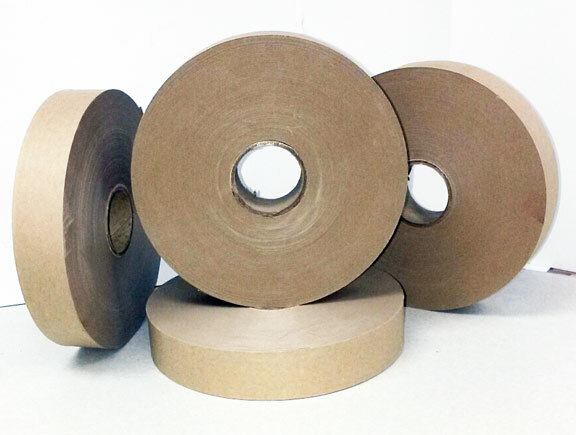 Brown Kraft banding tape is coated with polyetheylene. FOB WI, ALLOW 24-48 Hours to ship. Heat Seal Packaging made simple with Riverside's Paper Banding Tapes. 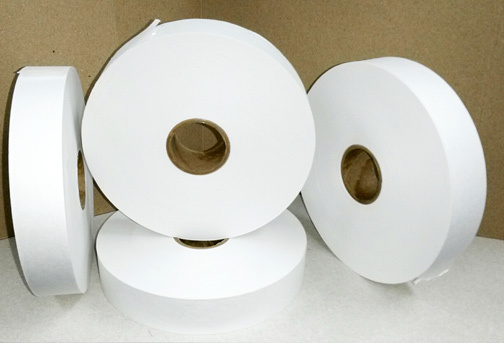 The Riverside heat seal banding material can be used all automatic heat seal banding machines such as; Strapack, Akebono, MBO, and Band-All. Sello de calor Envase de forma sencilla con cintas de papel de anillado de Riverside. El material de bandas de sellado térmico Riverside puede ser utilizado durante todo termosellado automático de bandas machines.Strapack, Akebono, MBO, y Band-All.